Did you know that, you can have a heart attack and not sense any chest pain? Heart diseases don’t show the same signs and symptoms for everyone, particularly women. A heart attack---also known as myocardial infarction- happens when the arteries carrying blood to the heart muscle are blocked by a clot. There are many factors that can cause heart attack like age, heredity, hypertension, high cholesterol, obesity, alcohol consumption, smoking, poor and lack of exercise. Fatigue and shortness of breath- Fatigue and shortness of breath are two ways to tell you that your body needs rest, however it can also be a sign of a heart problem as a response to the extra stress on the heart. If you regularly feel tired or exhausted for no reason as such, than it could be a sign of heart problem. Exhaustion and shortness of breath are more common in women and can begin months before a cardiac arrest (AHA, 2013). Excessive sweating day and night- Sweating excessively even when you are not active, could be an early sign of a heart disease. The heart takes more efforts to pump blood through clogged arteries and as a result you sweat more in order to keep your body temperature down during this extra exertion. If you experience excessive sweating or dank skin, then you should consult your doctor immediately. Night sweats are common in women experiencing heart troubles (HIS, 2012). Nausea, vomiting, and indigestion- Many people begin experiencing mild indigestion and other GI problems before a heart attack. 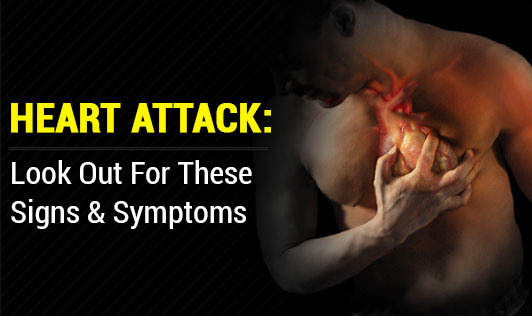 As heart attacks usually happen in old people, who often have indigestion problems, these symptoms go unnoticed as heartburn or as other food-related complications. Chest pain, high blood pressure and discomfort- Even though chest pain do not occur in every heart patients, they are the most identifiable symptom for a good reason. Chest pain and chest tightness are a common sign of a cardiac arrest. So, if you experience chest pain or tightness, you or someone in your house should call the doctor immediately. If you think you are having an attack, than you or someone around you should call the doctor immediately. A proper treatment within hours of the onset of symptoms can save your life.